ANOTHER SEASON OF FAMINE AND WATER SHORTAGE. 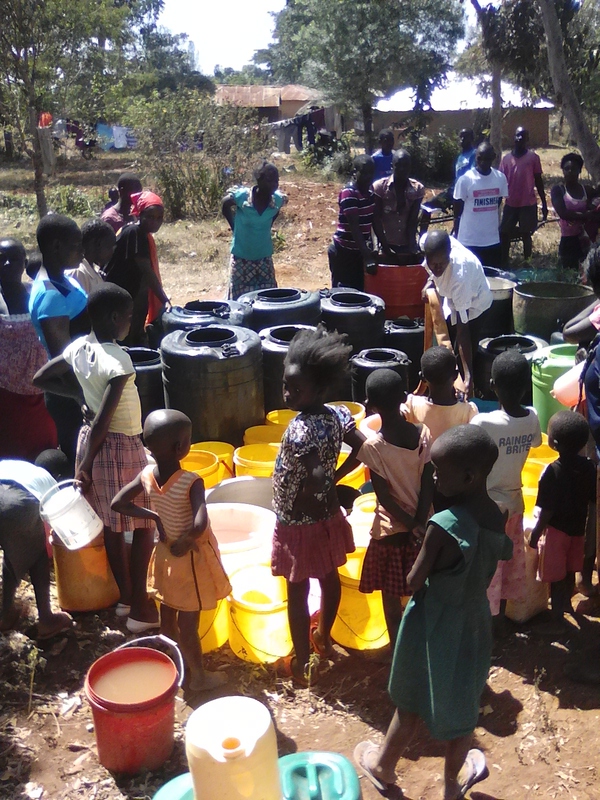 It has been another season where the drought has hit hard on our community.These has contributed to many problems for our poor families.Mostly,affected children have stopped going to school because of lack of fees.Recently their was a truck ferrying water but when they saw the dire need ,they opted to help women with the water for only that day. (photo Below).Majorly,I would humbly request well wishers to donate for the needy families I am always assisting,I can hardly do so now as am financialy constrained.It pains me to see the children out of school and other widows also in desperate conditions.The little you donate will make a difference in someone,s life.I appreciate in the name of Jesus our Lord and saviour.God bless you. This entry was posted in Sam's Blog on September 5, 2016 by Sam.